Each year, after the Annual Exhibition of the Royal Society of Portrait Painters winds to a close, the Members of the Royal Society of Portrait Painters gather together to review the portfolios of exhibitors who have applied successfully to become Candidates in a bid to take the next step and to become a full member of the RP. This is a sensitive process as the 127-year-old society aims to both maintain the high level of excellence the public have come to expect, and to recognise innovation and promote new practices in the art of portraiture. This year, the Members have chosen three new artists to join them; Frances Bell RP, James Hague RP, and Martin Yeoman NEAC RP. Frances Bell’s distinctive style captures with softness the luminosity of human features. 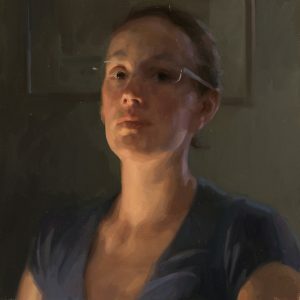 Bell originates from Cambridge, but developed her style as an artist at the Charles H. Cecil Studios in Florence, where she trained for three years and subsequently taught. Fellow new member James Hague is a similarly decorated artist. 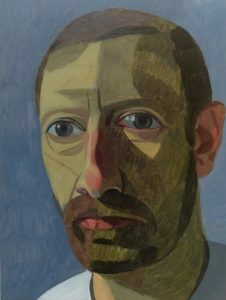 Hague has received the Stanley Smith Scholarship, the Amlin Painting Prize, the Lynn Painter-Stainers Prize, and the Brewer J C Jacobsens Portrait Award; in 1996, Hague also won the coveted BP Portrait Award, obtaining a commission to paint the actor Michael Caine.Hague’s style pays special attention to musculature, and the play of light across the planes of a face. Like Bell, Hague achieves a captivating luminescence in his paintings; however, in contrast to Bell’s softness and whimsy, Hague’s delicate and deliberate brushwork produces a stylised, graphic effect. The third new member of the Royal Society of Portrait Painters is Martin Yeoman NEAC RP, who has painted everyone from the grandchildren of Her Majesty The Queen, to Sir Alan Hodgkin OM and the musician Ed Sheeran. 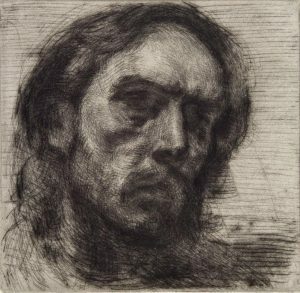 After leaving school at the age of sixteen, Yeoman found his painterly feet on the streets of India and Pakistan, selling portrait drawings to fund his travels. He returned to the UK to study at the Royal Academy Schools, before commencing a celebrated career in portrait painting. Keep your eyes peeled to see what these artists will do next!